Just when you think you have your dealership’s Facebook marketing mastered, Zuckerburg strikes again. The latest battle takes on user dissatisfaction with how advertising and Pages are featured in the News Feed. Facebook announced last week that they will be rolling out a change to the News Feed algorithm. Big deal, right? It actually could be. Facebook said the change is meant to prioritize interaction between actual people. That means reducing the prominence of brands and Pages in News Feed. This is likely to cause your dealership’s Page Reach to go down. What should page owners do? First, don’t panic. Now is the time to steer into the curve. The key will be to generate conversation. Any type of interaction between people will show higher in News Feed, so engaging content is more important now than ever. Be Visual: Videos will be a huge resource to keep your posts above that new line. Hold a FAQ with your Service Department or give a walk-through of a new model on your lot. Live videos are especially helpful as they encourage real-time discussion among viewers. Be Social: Engage with your audience and don’t just speak at Encourage them to reply and to talk with others in the post. Be Local: Connect with your community through Groups, create events around your dealership, and share local events and news. Be relevant to them. When is this change going to hit? Soon. If the change works as reported, you will likely start to see your Page Reach go down little by little over time. You can minimize the damage by creating a community that your audience wants to actively participate in. Staying ahead of the latest digital marketing changes can be overwhelming. 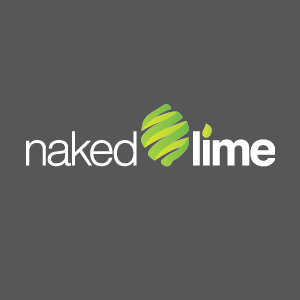 If you’re ready to let someone else take the wheel, talk to one of our digital marketing experts at 855.NKD.LIME or info@nakedlime.com.